March 20 2018, 12:23 a.m.
As a private attorney in 2016, FBI Director Chris Wray supervised a team of lawyers that informed the Justice Department that Blackwater founder Erik Prince had likely violated U.S. law while trying to sell secretly modified paramilitary attack aircraft to Azerbaijan’s military. Wray and Robert Hur, now a senior Justice Department official, were both partners at the powerhouse law firm King & Spalding in 2015 when officials at Prince’s Hong Kong-based logistics company, Frontier Services Group, discovered suspicious activity by Prince over the proposed sale of the planes. Hur is currently the top lieutenant to Rod Rosenstein, the U.S. deputy attorney general. At King & Spalding, he was one of the lead lawyers on the Prince investigation. FSG retained King & Spalding to conduct a review of the company’s legal exposure to violations of U.S. law on weapons sales and the export of defense services to foreign governments and militaries. The attorneys concluded that Prince could potentially be charged with brokering defense articles without a license, according to a copy of the review obtained by The Intercept. The FSG-hired lawyers briefed the Obama Justice Department’s National Security Division in February 2016 on Prince’s activities and, a month later, FSG’s CEO notified the State Department that FSG intended to voluntarily report its possible violations of U.S. defense export laws. “The potential violations stem principally from conduct of Mr. Prince, a U.S. person,” CEO Gregg Smith wrote to the director of the State Department’s Directorate of Defense Trade Controls, which regulates the export of defense articles and services, in a letter obtained by The Intercept. In the letter, Smith promised to provide the State Department with a copy of the findings of FSG’s internal investigation. In April 2016, The Intercept published two reports detailing Prince’s attempts to modify small aircraft for sale to militaries in Africa and the Middle East, and a federal investigation into his alleged business ties to Chinese intelligence. According to a second letter dated April 13, 2016 and seen by The Intercept, Smith asked the State Department for an extension so FSG could review the report for more potential violations of U.S. defense export laws. Violations of International Traffic in Arms Regulations can trigger civil penalties of up to half a million dollars or criminal penalties of up to 20 years in prison, depending on the specific nature of the violations. FSG’s apparently good-faith attempt to uncover potential wrongdoing by Prince represented the culmination of a power struggle between Smith and Prince for control of the company. “Erik was not cooperating or supportive” of the internal review, according to a former senior FSG official. Chris Wray testifies during his confirmation hearing before the Senate Judiciary Committee July 12, 2017 on Capitol Hill in Washington, D.C. Soon after Smith reported Prince’s potential violations to the State Department, Smith was forced out of the company, and Prince and his Chinese business partners consolidated power. At King & Spalding, Wray chaired the special matters and government investigations team, though it is unclear how involved he was in its day-to-day work or the FSG investigation. “Chris led the group that our attorneys reported to,” said the former senior FSG official. The team Wray led reads like a who’s who of former Justice Department officials. 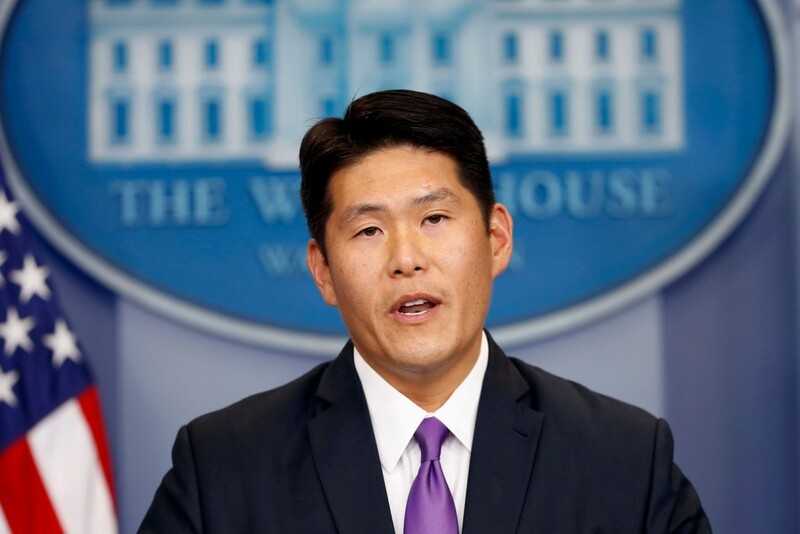 Hur, who worked with Rosenstein in the George W. Bush Justice Department before his most recent stint at King & Spalding, and Gary Grindler, former chief of staff to former Attorney General Eric Holder, took the lead in briefing the government on the Prince situation in 2016. “The evidence strongly suggests that Mr. Prince was offering a foreign defense article (i.e., an attack aircraft) for sale to the Azerbaijan MOD,” according to the internal investigation. For his part, Erik Prince appears emboldened by the Donald Trump presidency. He gave heartily to a pro-Trump super PAC and his sister, Betsy DeVos, is the education secretary. Prince continues to very publicly push for the Trump administration to utilize his private spy and security services with no apparent concern that the FBI or Justice Department may be pursuing him. On Sunday, Prince and Oliver North, of Iran-Contra fame, hosted a fundraiser at Prince’s home in Virginia for his longtime friend California Republican Rep. Dana Rohrabacher. Prince, the founder of the notorious private security firm Blackwater, has also emerged as a central figure in the investigation of possible collusion between Trump and his associates and Russia. He testified before the House Intelligence Committee in November on his alleged efforts to establish a secret back channel between Trump and Russia during a meeting in the Seychelles in January 2017. Prince told the panel he had not played any such role, but some top Democrats on the committee say they are examining whether he misled them under oath. While many details about Prince’s effort to create a private air force have been previously reported by The Intercept, Wray and Hur’s involvement and their interaction with the Obama Justice Department have not. Their role raises new questions about why the government’s investigation into Prince appears to have languished and what role the two senior officials may play in any continuation of the probe. The 2015 internal report by FSG’s lawyers from King & Spalding concluded that “based on the information available, it appears likely that Mr. Prince engaged in ‘brokering activities,’” without the necessary approval from the U.S. government in connection with the attempted sale of the secretly modified paramilitary aircraft to Azerbaijan’s Ministry of Defense. Under federal law, U.S. citizens seeking to offer military services or technologies to foreign governments must have a license certifying that the services or articles are approved under the International Traffic in Arms Regulations, or ITAR. In their February 22, 2016 meeting with officials from the Justice Department’s National Security Division, FSG’s lawyers from King & Spalding “raised the possibility” that Prince may have been illicitly brokering defense services to a foreign government without the necessary approvals from the U.S. government, according to the March 2016 letter from Smith, FSG’s then-CEO. 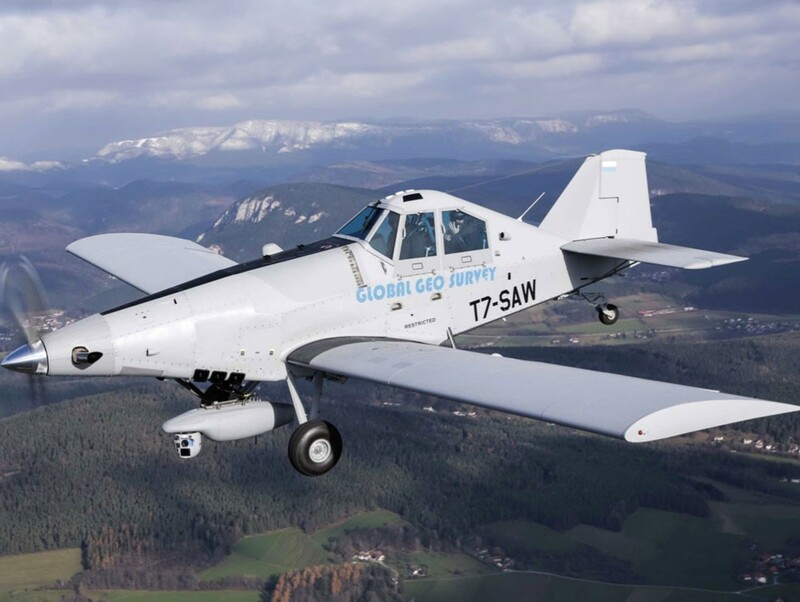 The King & Spalding findings centered around a deal Prince tried to make with Azerbaijan’s Ministry of Defense for several American crop dusters that Prince had secretly modified into attack and surveillance aircraft. The deal was Prince’s last-ditch effort to realize a long-held desire to sell small offensive aircraft to governments around the world for small and low-intensity conflicts. Prince used FSG’s legitimacy to privately pitch an array of services to Azerbaijan. The King & Spalding investigation determined that nearly everything Prince offered to the Azerbaijani government was a service FSG couldn’t provide and was not for the company’s benefit. The deal ultimately fell apart. 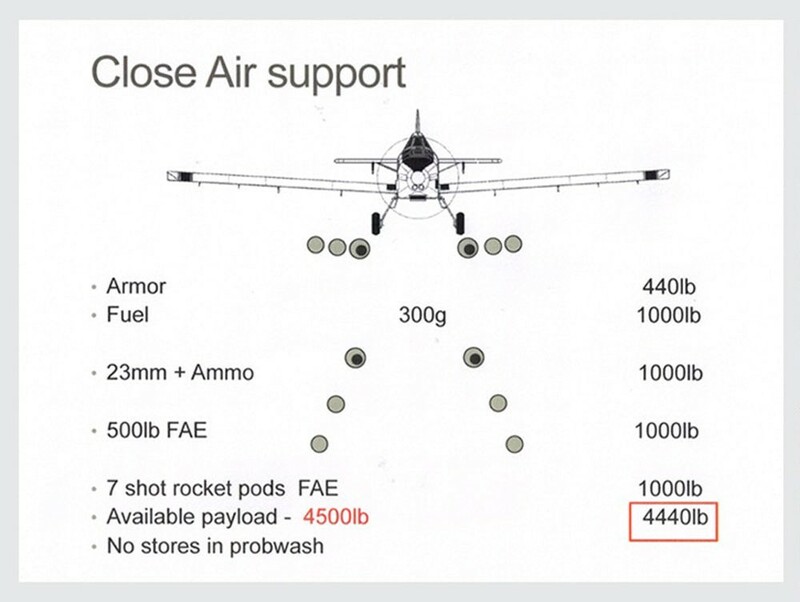 As The Intercept reported in 2016, Prince orchestrated a plan to modify small crop-dusting aircraft, known as Thrush, and sell them to foreign governments to be used in counterinsurgency operations and protect oil fields and other natural resource extraction operations in dangerous countries. At the time, Prince was being investigated by U.S. law enforcement and his communications were being monitored. What began as an investigation into Prince’s attempts to sell defense services in Libya and other countries in Africa widened to include allegations that Prince received assistance from Chinese intelligence to set up an account for his Libya operations through the Bank of China. FSG’s single largest shareholder is Citic Group, the Chinese government’s largest state-owned investment firm. Citic, which recently invested another $60 million in FSG, is the company’s largest single shareholder. The FSG spokesperson did not address any of the allegations contained in the 2015 King & Spalding report obtained by The Intercept. He stated that FSG “voluntarily filed a report” with the State Department in September 2016. That was after Smith and other Americans in leadership at FSG had left the company. “Based on the documents and information available, FSG’s review did not identify ITAR violations,” said the FSG/Prince spokesperson, adding “there has been no follow up whatsoever making it crystal clear that this matter has ended.” He did not address the discrepancy between this assertion and the positions laid out by the lawyers in the investigation, which were briefed to the Justice Department earlier in 2016. After Trump’s election, Prince emerged from the shadows he’d occupied for much of the Obama administration. He was one of the top contributors to the pro-Trump super PAC, Make America Number One Again. Prince was a frequent guest at Trump Tower and secretly advising Trump during the transition. His wife posted pictures from inside Trump-Pence headquarters on election night. Prince seemed unconcerned about the investigations into his activities. He openly, though unsuccessfully, campaigned — through White House meetings, cable news interviews, and op-eds in major publications — to have the war in Afghanistan privatized by mercenary forces and effectively placed under his control. Prince pitched this and other intelligence operations to the CIA and senior administration officials. The ranking Democrat on the Intelligence Committee, Rep. Adam Schiff, has said he wants to re-interview Prince in light of new information from a Prince associate, George Nader, who is reportedly cooperating with Special Prosecutor Robert Mueller. Nader contradicted key details of Prince’s testimony to Congress, according to the Wall Street Journal. Prince has run up against ITAR in the past. 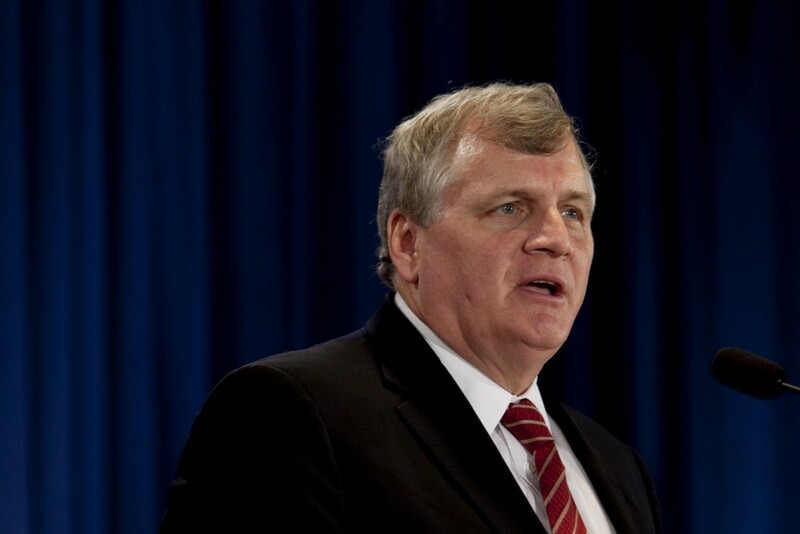 In 2010, he sold most of his equity in the companies that fell under the Blackwater umbrella. Soon after, he left the United States and became a resident of Abu Dhabi. The remnant of his network was renamed Academi LLC. Federal prosecutors eventually attempted to prosecute Prince’s former companies, culminating in a 2012 deferred prosecution agreement to settle a long list of U.S. legal and regulatory violations, including ITAR violations, committed from 2005 through 2008 when Prince was in charge.